As there are great transformations happening all around me considering the banned 500/1000 rupees notes and the US presidential election results, I believe my speech perfectly fits into the occasion. Expectations are good and attempts are even better. But results might go in a totally different direction. These are the moments when we have to recollect ourselves and plan ahead. And the speech talks of the same message through various funny anecdotes from my life. This is my humorous speech delivered at the Toastmasters Division Level Contest. No, this is not! The previous one! 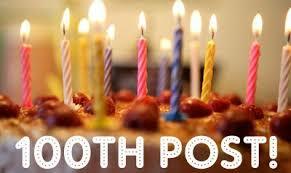 My previous post was the 100th post! But I got to know after I published it. Achievements are great to go for. We set goals, achieve it and feel a sense of accomplishment. It’s a very good feeling. Sometimes, we might miss as well. But that’s a part of life. I once had a goal of reaching fifty blog posts and had worked hard for a long time towards achieving it. Back then, I would even beat myself up at times for not being able to come up with something to write that on particular day. And somehow, I would write just SOMETHING – to increase the count! It was great feeling to accomplish that. Last weekend, I wrote my 100th blog post and had not even realized it until a notification icon in my blog congratulated me for this. And this time, I just smiled and winked thinking – Oh really? I never gave any real thought to it! And don’t even remember when I put in too much effort. But yes, I had achieved it! 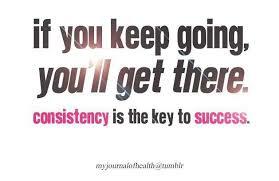 Just by being consistent! And this has been the case with many of my goals. At a point, I might have failed or felt so, and would have been about to give up! But just due to consistent action – got there – finally! I think it’s great to accomplish something without involving too much of effort. And more so, when the result appears as a total surprise! Anything takes time. Sometimes we fail as well – in fact we will! Nobody can stop that. If we can just persist to continue taking action for long enough, our dreams will get realized – not immediately, but definitely! So continue taking action and – YOU WILL KEEP ROCKING! I would also like to express gratitude towards the visitors, readers, followers and everyone around who have kept inspiring me as this has really helped me remain consistent. Whenever the visitor statistics graph shot up my heart would just get filled with joy. So, a big THANK YOU to you all! What to give, what to do! But it’s the best I can do! You’ll learn a lesson for life from what it says! 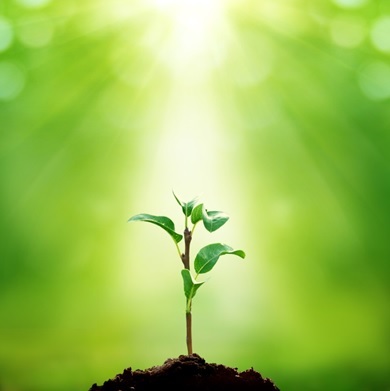 There was once a sapling still under earth – long after taking birth. I’ll not survive for long. As I’m so weak – for sure, I’ll freak”! Believe; and God’s always beside. And He’ll take you far and wide”. But then, even the scary wind will bow before you. To be – a TREE”!!! Achievers are Best, what about the Rest? As I am growing up my understanding and perspectives about a lot of things are either changing or getting stronger. We, humans, across the globe, have always been obsessed with the word “SUCCESS “and the fulls – “SUCCESSFULLS”! Of course, we should be. How else can we expect to create giant organizations and countries? I too have great interest in both the words. However, what about the others? Those who could not get there, those who messed it up or those who JUST missed it? Don’t get me wrong! I too have read “The Secret”, “Law of Attraction” and am a strong believer that you can get whatever you want – 98% of times. There’s still space for remaining 2% times. Why? Because if these laws work for you, it should also work for the others. And maybe – just maybe – others don’t want what you want. Wars, floods, earthquakes, accidents, heartbreaks, etc. do happen. And happen due to these differences in thoughts and it might leave a few of us at the bottom of the success ladder. If not the people on earth, I believe there’s some superpower that might have different plans and THOUGHTS! During such times people often get lost not knowing what to do and where to go. And we, the world, in fact, help others get lost and remain so. These people are often afraid of returning to the world and facing us. And this, in fact, has a very bad implication – we look at them very differently – with an eye that makes them insecure – feel bad about themselves. One of the premier causes of all social evils is our this very look. In fact many find it better to kill themselves than return home. Or if not kill selves, they feel better to kill others by getting involved with a terrorist organization or other similar groups – wherever they get support and acceptance. which, in turn, will automatically reduce the huuuge number of crimes. So, I think, for a better society, we must not only care about the people on the magazine front covers, about THE BEST, but also about THE REST because they are also humans and “It’s OK”! About a year ago, I made my revolutionary resolution and started visiting a gym. Well, although I could not get a pumped up body due to an accidental disc injury, I learned a lot of things. 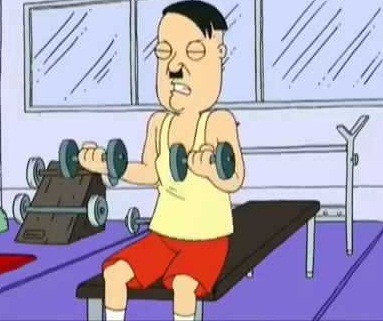 Of course, several varieties of exercises! But additionally, one such learning was that we should never forget to breathe. During workout, I found that most of the inexperienced muscle-enthusiasts, including me, used to forget to breathe. I probably used to find it a waste of time. And this used to affect my stamina negatively. I remember the movie Warrior where the teacher-fighter, Brendon Conlon, is continually reminded by his trainer, to breathe, whenever he starts getting too much hits by the opponent – which he often gets. 🙂 I think this was one action movie that ‘spoke’ and ‘stressed’ so much significance to breathing. Even when Conlon was held tight under the arms of the massive opponent, instead of telling the strategy to come out of the grip, this trainer would only shout – “BREEEATHE”! Currently, I practice yoga and here again the instructor repeatedly reminds us to breathe. I think it to be true even in our everyday lives. We forget breathing! And many of our problems would be absent just if we remember to breathe. And, as Brendon does in the movie Warrior, we will survive longer in our fights. 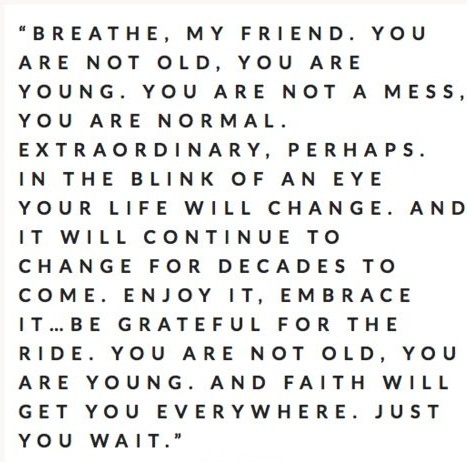 Just breathe!!! 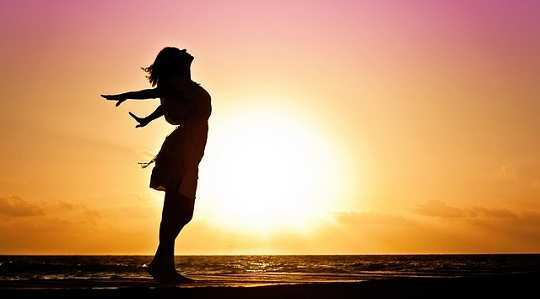 Usually, we either become too tensed or too excited and forget to breathe. And, as in gym or yoga, it negatively affects our stamina. We are unable to see or think well when we forget breathing. Due to this, we might also lose our focus and suffer breakdown. You might get another day!!! What do you think? Do post your views in the comments section. Are you running right – or JUST running? During childhood, our parents, teachers and everyone told us to run. We started. And since, we all are running races – rat, cat, horse or whatever name you give it. 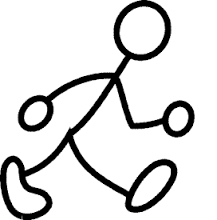 But most of us are just running – with no awareness – either of ourselves – or of the race we are running! No wonder so many of us feel lost so many times in our lives. When we walk looking at others, often we lose sight of the track we are on, and the direction we are headed to. An interesting incident happened with me recently. Just two days ago, it was early morning and I was walking on a lonely road. On the way, I saw a young man walking briskly at a very good speed. I generally get ‘the calling’ 😛 to compete with every brisk walker when I am alone on a road. I got it here as well. On this occasion too, I just felt that I should speed up to catch and get past the fellow. I walked fast. Faster! Fastest! Yes, there was nobody else around but I felt as if I was walking at more than my quickest speed. He too kept increasing his speed. Or I felt so! After almost twenty minutes, I got relieved as I had just walked past my competitor who himself was unaware of the competition he was having. I won! I just defeated someone! But the best part appears next. I had already walked past my destination – where I had to go. Not a few steps! Almost by half a kilometer – six to seven minutes. Now, I had to return to be there where I actually wanted to go. We do it frequently – everywhere! I felt proud when I walked past the other person. Or did I? And if I did, of what use is this pride? I even missed to the beauty along the way. Here I was six minutes ahead.Makes not much difference! What if you went six months or six years ahead? Or, sixty years in case? Have you ever stopped to see whether you are moving on the right path? Or you are just running because everyone is? What do you think about what I think? Do you have any views on this post? Do post your views in the comments section below. The Jungle Book – Simply Amazing! I am sure it has been one of the most awaited and popular movies of 2016 – The Jungle Book! Awaited, I say because I had been waiting for it ever since I heard about Mowgli’s return several weeks back. I am sure that most of us have watched him when growing up. And popular – you’ll know it when you go for it! 😛 Oh! I so much wanted to re-watch him fly from tree-to-tree holding those aerial roots. Can you see him in your memories right now? These two creatures only try to derive personal benefits out of the man-cub and Mowgli has a hard time escaping from them. 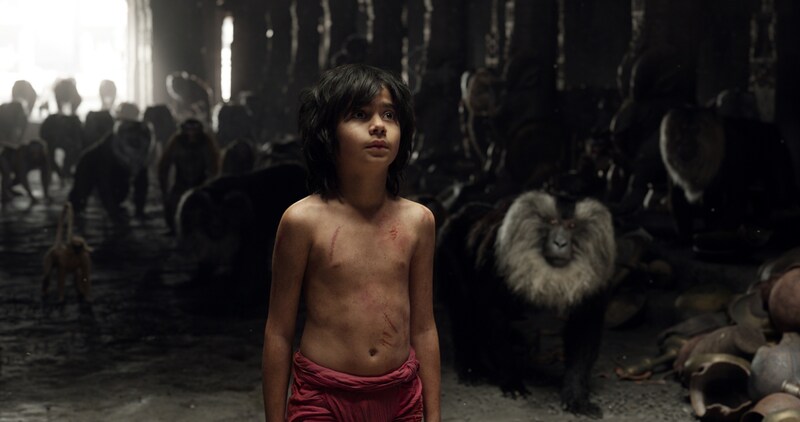 While going through all this and traveling through the forest, Mowgli discovers that he has his own strengths. And that these were very different from those of any other animal in the forest. Baloo once said, “You can be a man right here.” Also, as Mowgli had his family in the forest itself, he returns. Sher Khan tries a lot to catch Mowgli but is killed in the end by falling into The Red Flower, the fire. Although it was the same jungle with the same characters, I think the story went a bit different. 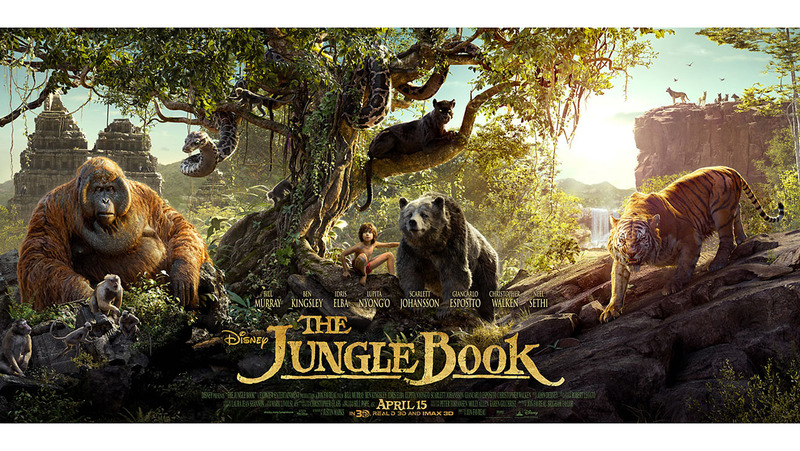 And I kept wondering if the book title ‘The Jungle Book’ given by Rudyard Kipling, is appropriate for this movie. Also, I was left hungry to watch the little Mowgli jumping from tree-to-tree. Nevertheless, it’s truly amazing – the sounds, the visuals, the characterization, the Disney effects and everything. There are a few important messages shared by different animals throughout the movie, as well. Do watch it – only in the theaters – or you’ll miss the actual flavour! Read about a few more movies – one here & another one here!